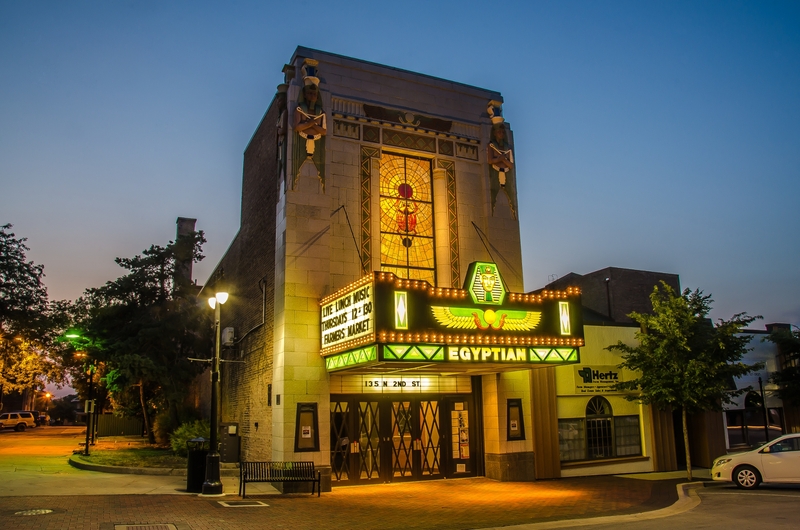 Since 1929 the Egyptian Theatre has entertained countless people within the majestic walls of this jewel of DeKalb. We are #ProudlyDeKalb for many reasons. The Egyptian Theatre in DeKalb was once one of over 100 Egyptian Theatres in the United States but today is 1 of only 7 remaining and the only one East of the Rocky Mountains. 1 of 2 remaining Egyptian Theatres with original star lights in the auditorium ceiling. Listed in Top 10 Most Haunted Theatres in Illinois. One of the top 20 largest historic theatres in Illinois (by seats). 1978 – Listed on the National Registry of Historic Places. 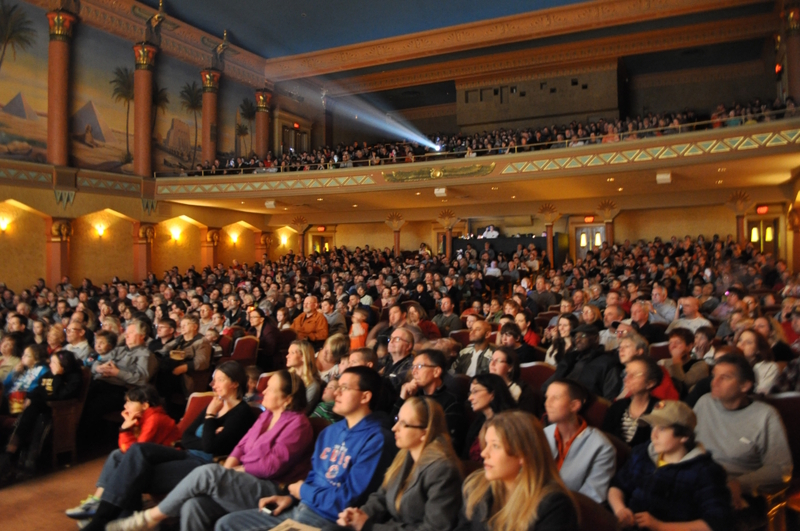 We welcome over 30 community organizations every year that utilize the Egyptian Theatre for their events. John F. Kennedy spoke at the Egyptian Theatre in front of a packed house on October 25, 1959. Ronald Reagan and First Lady Eleanor Roosevelt also visited the Egyptian Theatre.